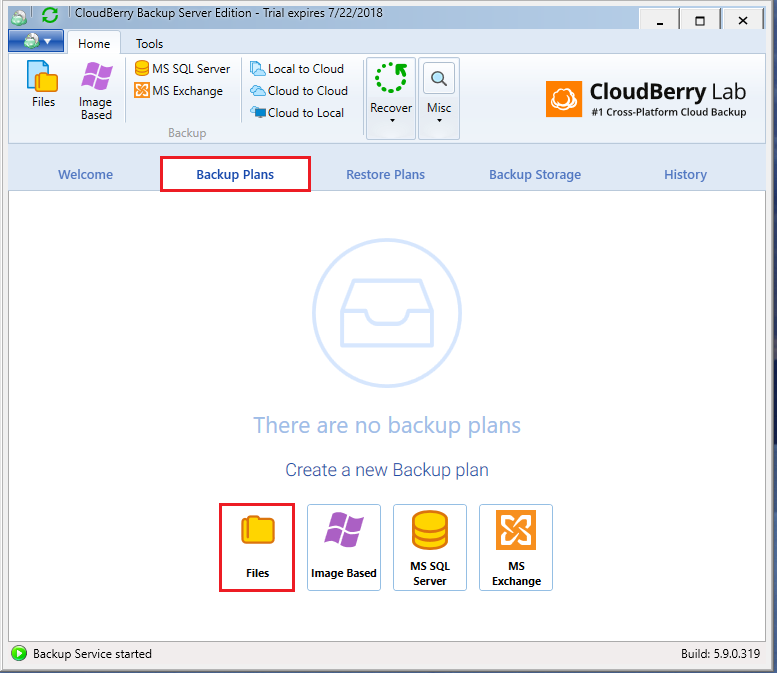 CloudBerry Backup is a Windows program that automates encrypted and compressed data cloud backup. 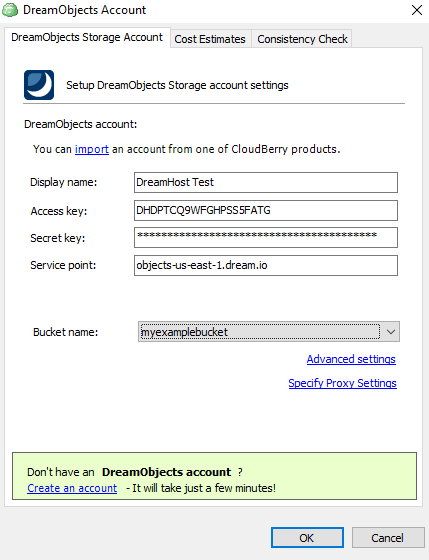 This guide describes how to configure CloudBerry with DreamObjects. 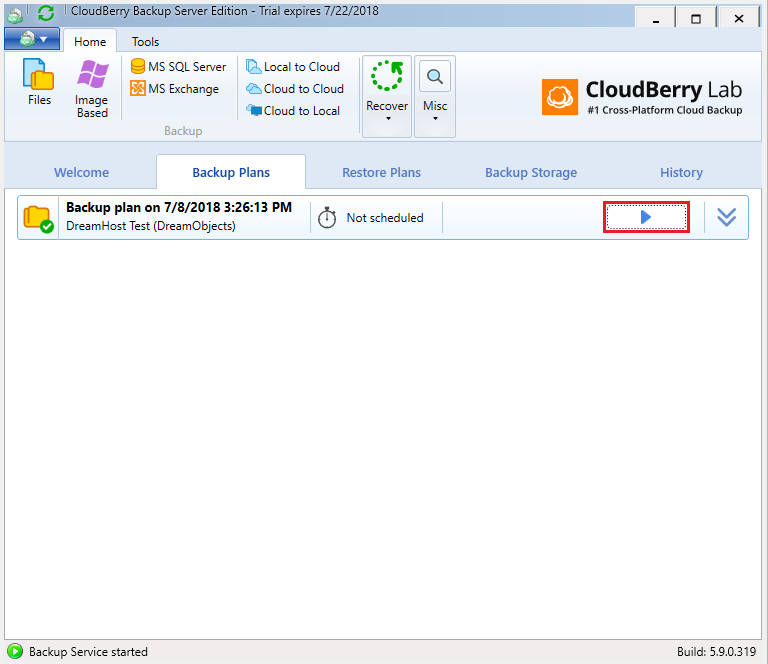 This tutorial references the Windows Server version of the program, but the basic steps carry over to other versions. 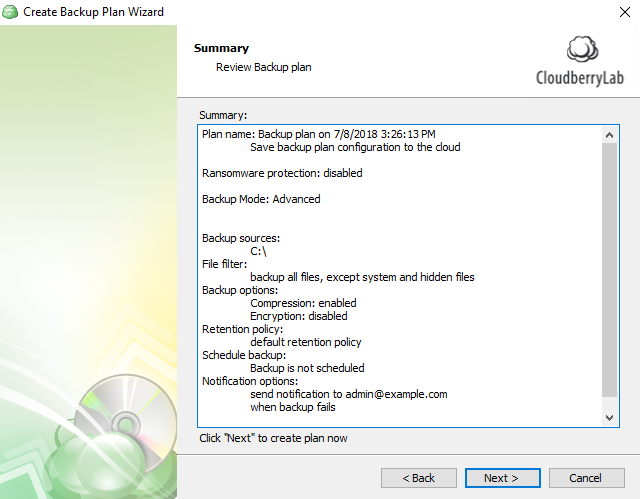 Select the ‘Backup Plans’ tab, then choose the 'Files' option. 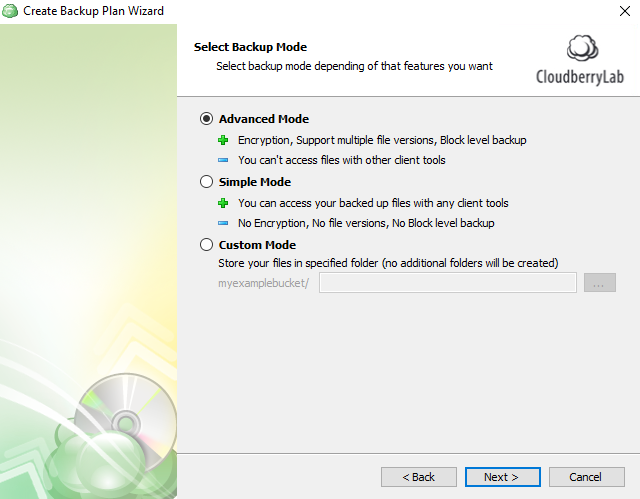 Select the 'Local or Cloud Backup' option and click the Next button. Click 'Add new Storage Account'. 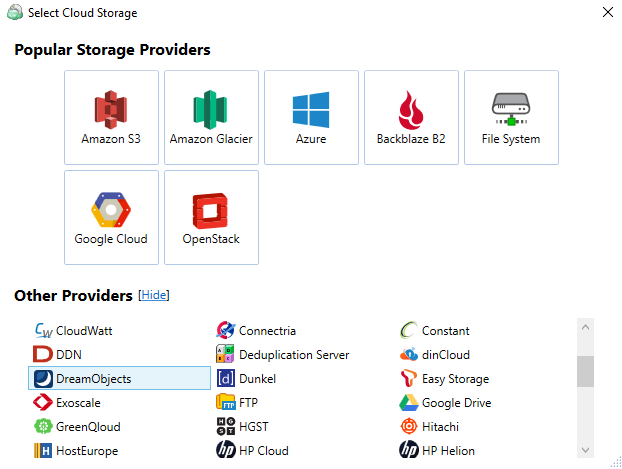 Select 'DreamObjects' from the list of 'Other Providers'. 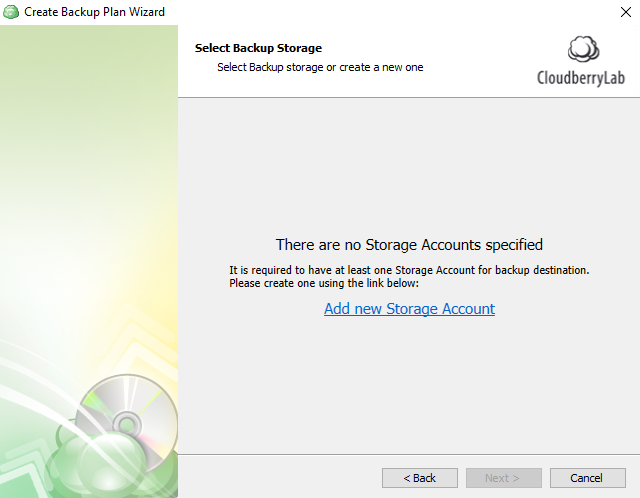 After entering the required information, users are able to both access existing buckets and create new ones. 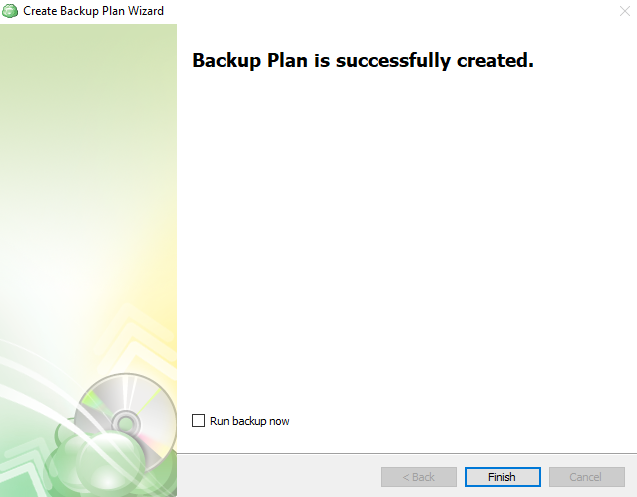 Enter a backup ‘Plan name’. 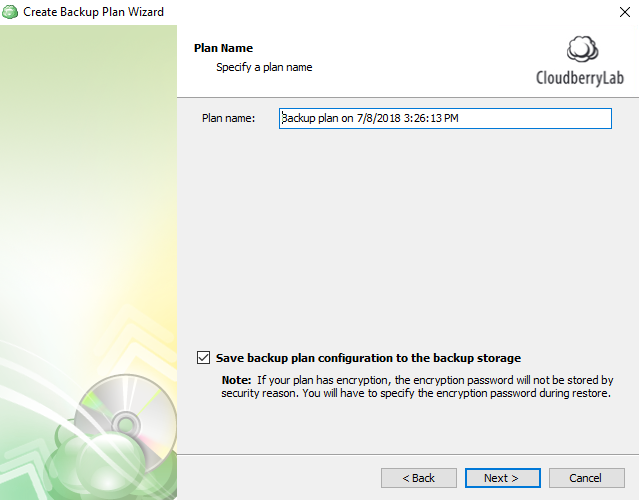 Select the location on your computer of the files and folders you wish to backup. 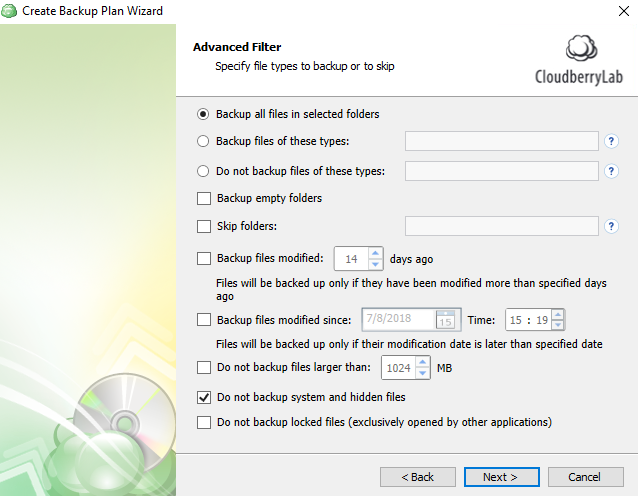 In the ‘Advanced Filter’ window, select whether to backup all files or specific types along with your choice of time frame. Check the ‘Enable compression’ check box. You can also enable encryption if you want. 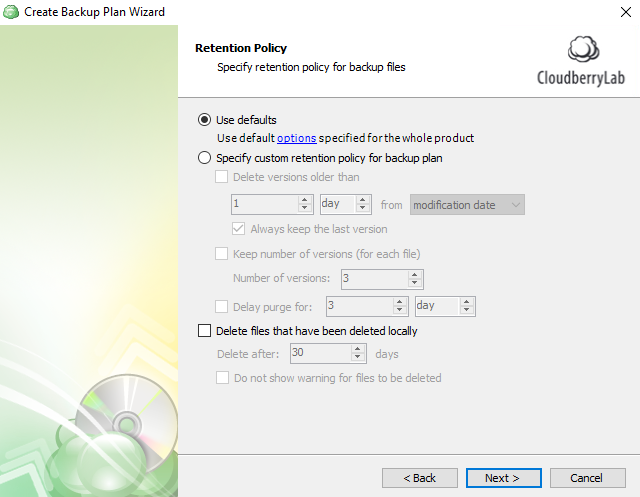 Select any 'Retention Policy' options you wish to set up. 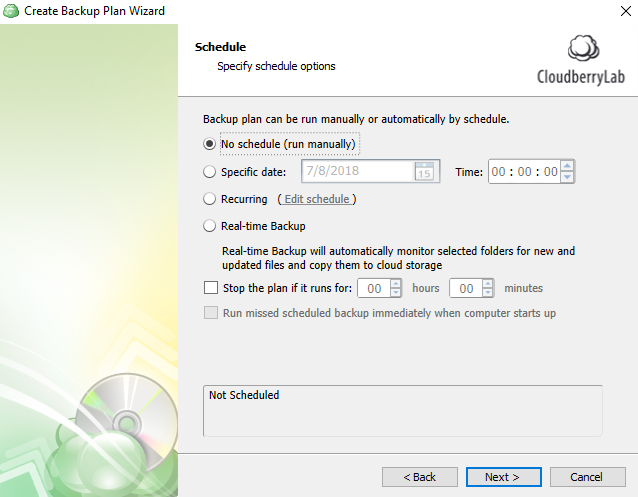 Select time schedule options for your backups. 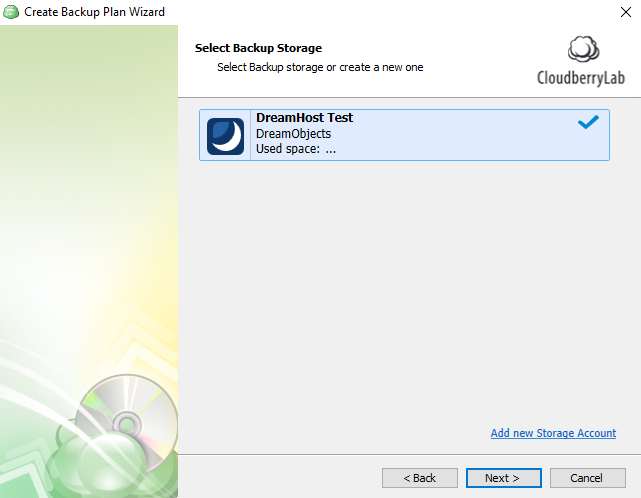 Select whether you want to set pre or post actions for your backups. You can skip this step if you want by clicking the Next button. 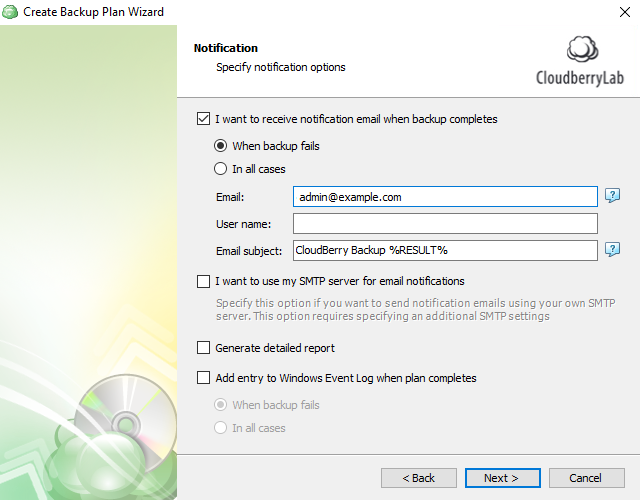 Select how you want to be notified regarding the status of a backup. Confirm the settings on the ‘Summary’ page, and then click the Next button. 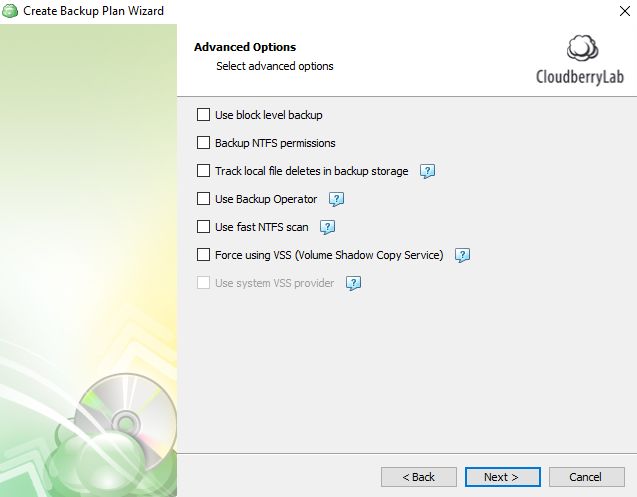 You can ‘Run backup now’ by checking the box, or you can click the Finish button to run it at a later time. 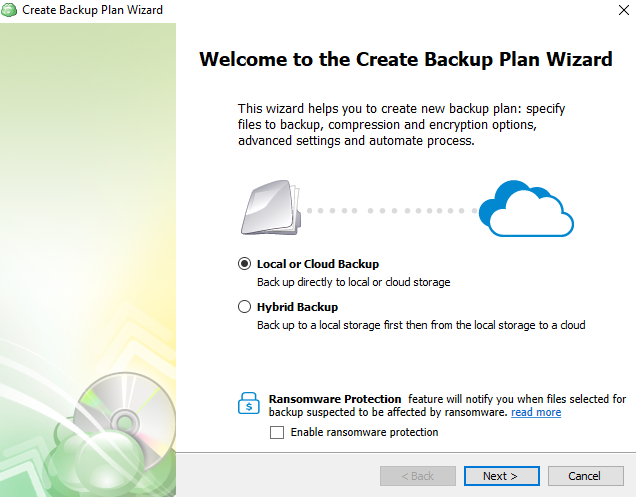 Click the ‘Backup Plans’ tab to confirm everything is properly configured. 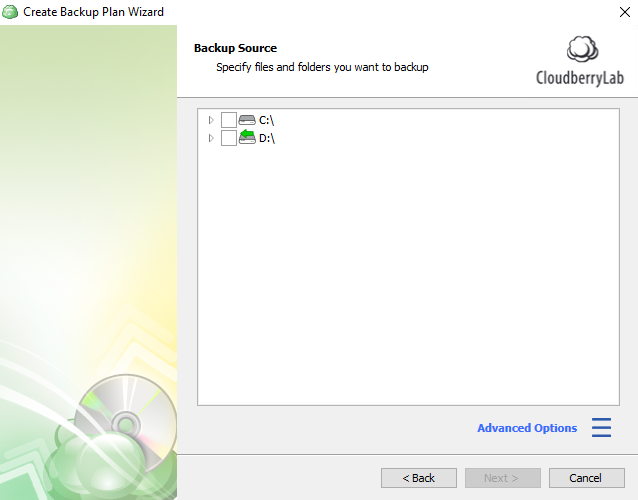 Click the arrow button to run the backup. Article last updated April 08, 2019 21:23 PST.